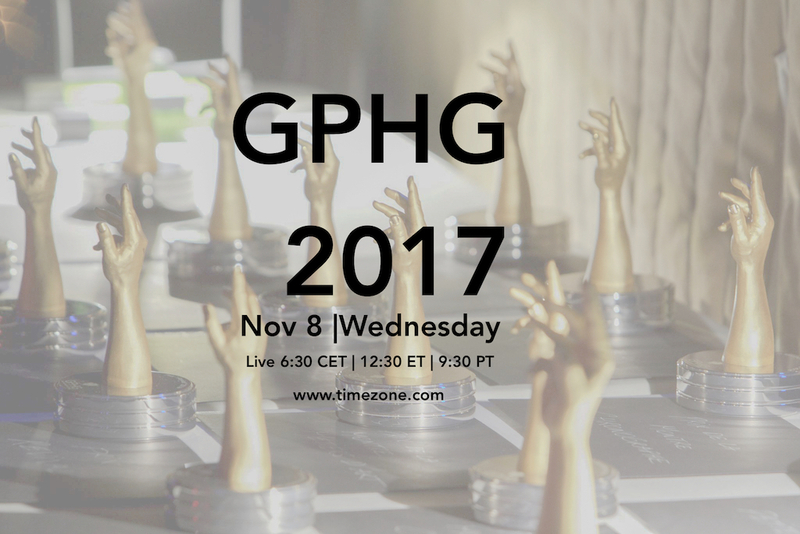 The 17th Grand Prix d'Horlogerie de Genève (GPHG) Awards Ceremony takes place on Wednesday, 8 November 2017 at the Grand Théâtre du Léman in Geneva. Created in 2001, the GPHG is the world's most prestigious salute to the excellence, innovation and watchmaking expertise of worldwide watchmaking creations. This summer, an international jury composed of 28 independent experts undertook the first round of voting in order to select six watches in 12 categories. These 72 watches are vying to win one of 15 prizes, including the evening's highest "Aiguille d'Or" (Golden Hand) distinction. Live-streaming begins at 6:00P CET, and the awards ceremony begins at www.timezone.com at 6:30P CET, 12:30P ET and 9:30A PT.